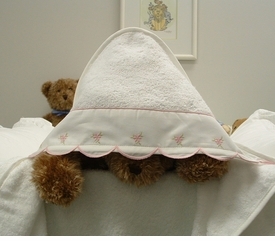 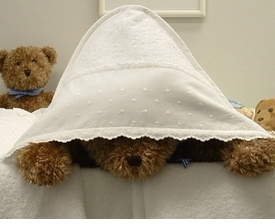 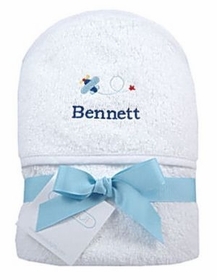 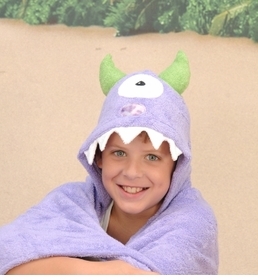 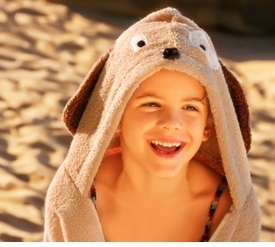 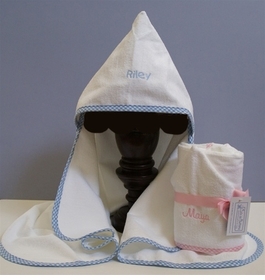 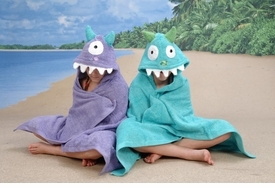 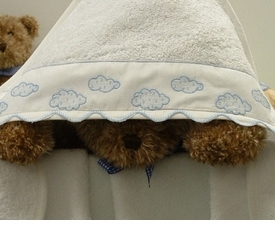 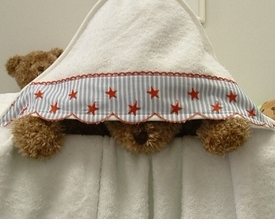 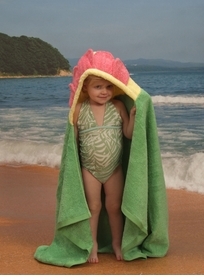 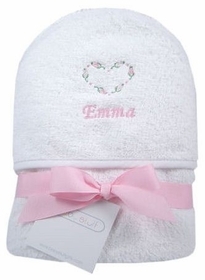 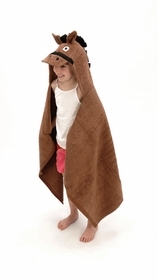 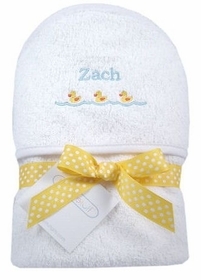 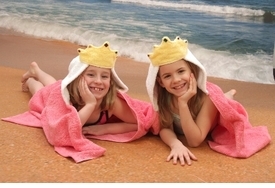 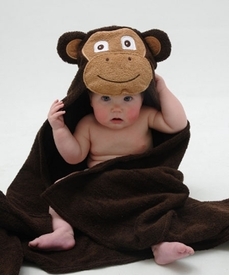 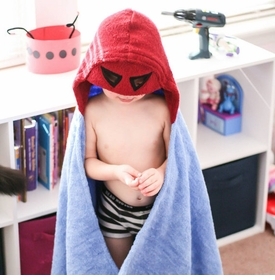 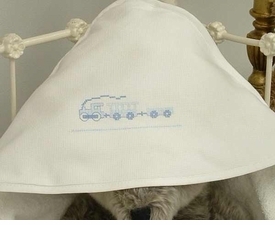 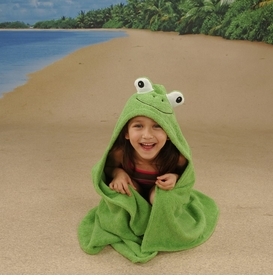 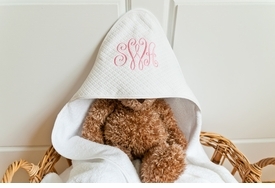 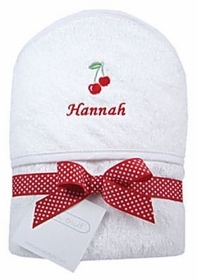 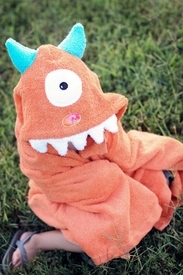 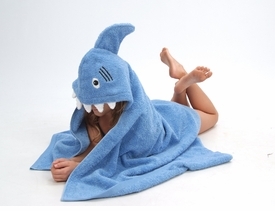 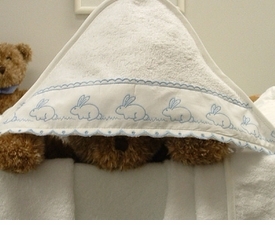 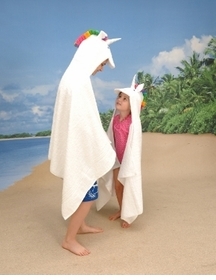 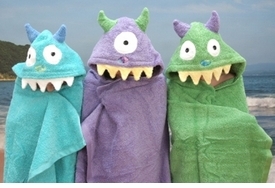 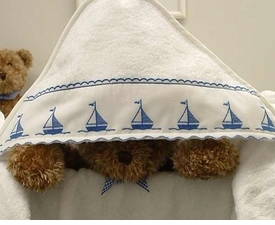 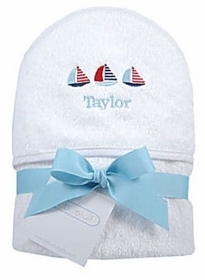 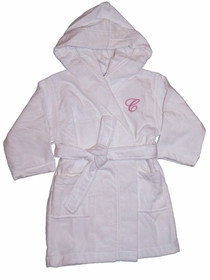 Personalized hooded towels are great way to keep baby warm and dry after a bath. 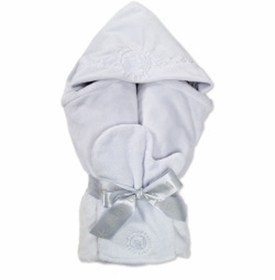 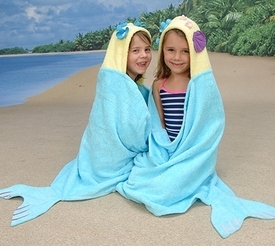 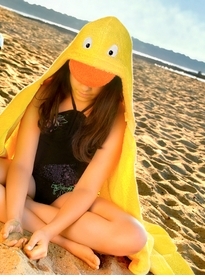 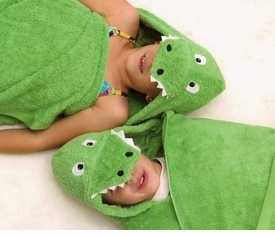 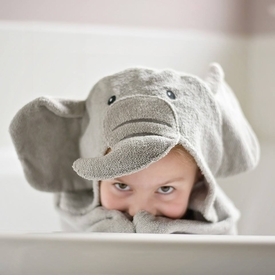 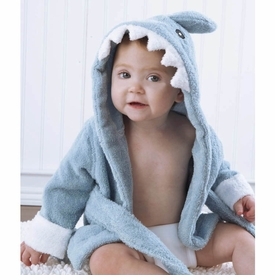 The soft and plush fabrics absorb moisture and offer a cozy way to cover your child after the tub. 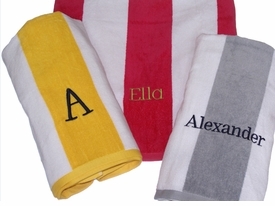 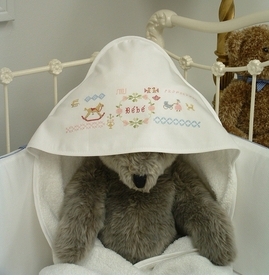 The hand embroidered names and monogram make each towel unique.